By the time Lammas rolls around, it’s usually pretty hot. In some parts of the world, gardens are beginning to dry out, and the earth has gone from soft and pliable to dry and cracked. If you haven’t harvested your herbs yet for drying, now is a good time to start doing so — in other words, pick them before they die on their own. Any fresh herb can be dried simply by picking it and tying it up in small bundles in a well-ventilated area. Once they are completely dry store them in airtight jars in a dark place. As you mix and blend your incense, focus on the intent of your work. In this particular recipe, we’re creating an incense to use during a Lammas rite — it’s a time to celebrate the beginning of the harvest. We’re thankful for the foods we’ve grown, and for the bounty of the earth, and the knowledge that we’ll have enough to eat through the coming winter months. For the Harvest Mother with her basket and scythe, Abundance and fertility, and the blessings of life. Posted on August 1, 2013 by ladyoftheabyssPosted in Articles, Daily Posts, Incense, The SabbatsTagged Aromatherapy, Cinnamon, Earth, Harvest, Herb, Incense, Lammas, Lughnasadh. At Lammas, the harvest is kicking in. This is a time of year when the masculine energy of the earth is in full swing. For starters, it’s the season of the spirit of grain, and a time to honor Lugh, the craftsman god. Lugh was not only a craftsman, but a gifted smith and swordsman. The season from late summer to the middle of fall is often a season of heightened energy for those who identify with the warrior soul. A note on women and the concept of warrior: the notion of masculine energy and a warrior soul is not exclusive to men. Many women have powerful warrior spirits. Think of the warrior soul as an archetype of personal empowerment. Indeed, throughout history, many women have been known as mighty warriors. If it helps you get in touch with your inner warrior, envision some of them as you work. Picture Boadicaea of the Iceni, conquering the Roman army, or Penthesilea battling her lover, Achilles. If you lean towards more current history, consider France’s Jeanne d’Arc, or Grainne’ni Mhaille, the Irish pirate. For those who connect best with pop culture, even television’s Buffy the Vampire Slayer, Firefly‘s Zoe, or Xena make perfectly good warrior woman archetypes. You may wish to prepare your mind and body prior to starting the meditation. Some people like to take a ritual bath as a method of cleansing the body, and clearing the mind. If you wish, you can anoint yourself with Blessing Oil or another oil of your choice before beginning. Since you’re performing a warrior meditation, why not try adding a bit of war paint to your face and body? 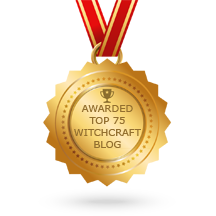 Posted on August 1, 2013 by ladyoftheabyssPosted in Articles, Daily Posts, Meditation, The SabbatsTagged Buffy the Vampire Slayer, France, Iceni, Lammas, Lugh, Lughnasadh, Wheel of Year, Wicca. Grain is the heart of Lammas, and the beginning of the harvest season is a milestone in many societies. Once the grain is threshed and milled it is baked into bread and consumed, honoring the spirit of the grain god. This ritual celebrates both the harvest and the sacrifices we make each year, as well as the sacrifice of the grain god. 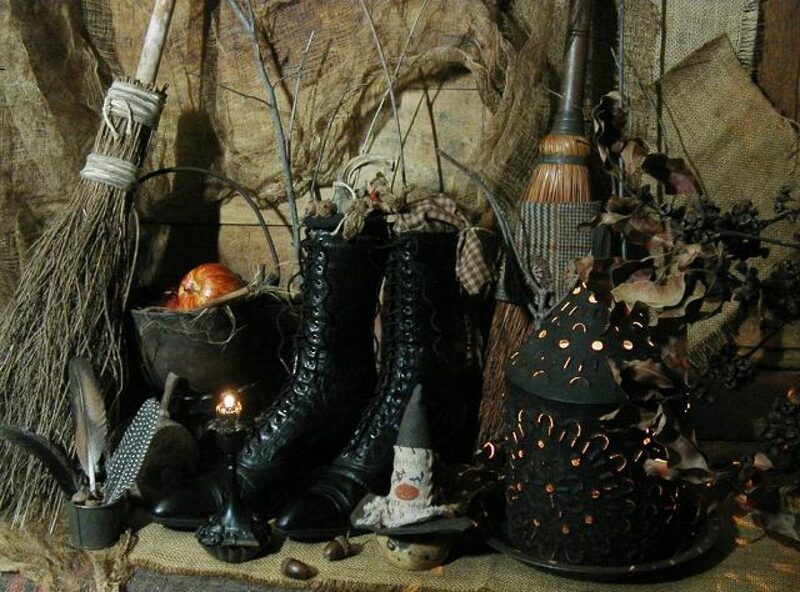 Decorate your altar with symbols of the season — sickles and scythes, garden goodies like ivy and grapes and corn, poppies, dried grains, and early autumn foods like apples. If you like, light some Lammas Rebirth incense. For this rite, you’ll need a loaf of Lammas bread and a cup of wine or water. You’ll also need pieces of straw or other plant material, enough for each person in the ritual to make a small doll, and some yarn or string to tie the dolls together. Finally, you’ll need a fire. You can either have a large bonfire, or a small tabletop fire in a pot or brazier. It is the time of the harvest once again. Life, growth, death and rebirth, all have come full circle. The god of the harvest has died once more, That we may eat and consume him, Giving us strength in the months to come. We now create dolls in our image. These dolls symbolize our selves, in our many aspects, and all the things we give up each year, so that we may thrive and flourish later on. Each member of the group constructs a doll to represent themselves. Use the instructions here if you don’t know how to make a doll: Corn Doll or Straw Man. As each person creates their doll, they should energize the doll with personal qualities. These are the essences of self that each person is bringing to sacrifice, so that they may be reborn as the harvest god is each year. The god of grain is dying, vegetation returns to the earth. We call upon the gods of the harvest, asking them for their blessings. Tammuz and Lugh, Adonis, Dumuzi, Cernunnos and Attis, Mercury, Osiris. You are born each year, and live in our fields and are sacrificed as part of the cycle. Hoof and horn, hoof and horn, all that dies shall be reborn. Corn and grain, corn and grain, all that falls shall rise again. If your group is musically inclined, have half the group sing the “Hoof and horn” part, and the second half sing the “Earth my body” verse, so that it forms a round robin. The effect is amazing! Months ago, we planted seeds, and through the summer watched them grow. We have tended the fields in our lives, and now we are blessed with abundance. The harvest has arrived! Thank you, lord of the harvest, For the gifts yet to come. We eat this bread, grain transformed by fire, in your name, and honor you for your sacrifice. Posted on August 1, 2013 by ladyoftheabyssPosted in Articles, Daily Posts, Ritual Working, The SabbatsTagged Attis, Cernunnos, Corn dolly, Earth, Harvest, Lammas, Lugh, Lughnasadh. In Israel, the festival of Shavout commemorates the beginning of the harvest, as well as honoring the date that Moses received the Torah on Mt. Sinai. The final sheaf of wheat is brought to the rabbi for a blessing, synagogues and homes are decorated with flower, and a great feast is prepared for all to enjoy. The festival of Onam is celebrated in India, and people dress up in their finest clothes and give food to the poor. Onam is celebrated in honor of King Mahabali, who was a ruler of Kerala. In one story, the god Vishnu approached Mahabali dressed as a beggar, and asked for land, which Mahabali gave him. Mahabli ended up buried under the earth by Vishnu, but was allowed to return once a year, symbolizing the planting of the seed and the subsequent harvest. Thor’s wife, Sif, had beautiful golden hair, until Loki the prankster cut it off. Thor was so upset he wanted to kill Loki, but some dwarves spun new hair for Sif, which grew magically as soon as it touched her head. The hair of Sif is associated with the harvest, and the golden grain that grows every year. In the Shetland Islands, farmers believed that grain harvesting should only take place during a waning moon. They also believed this about the fall potato crop, and the cutting of peat. At Lughnasadh, calves are weaned, and the first fruits are ripe, such as apples and grapes. In some Irish counties, it was believed farmers had to wait until Lughnasadh to start picking these fruits, or bad luck would befall the community. In some countries, Lammas is a time for warrior games and mock battles. This may hearken back to the days when a harvest festival was held, and people would come from miles around to get together. What better way for young men to show off their strength and impress the girls than by whacking away at all the competition? Games and contests are also held in honor of Lugh, the mighty Celtic craftsman god, in which artisans offer up their finest work. It’s become a custom to give people the gift of a pair of gloves at Lammastide. In part, it’s because winter is just around the corner, but it’s also related to an old tradition in which landowners gave their tenants a pair of gloves after the harvest. The glove is a symbol of authority and benevolence. Posted on August 1, 2013 by ladyoftheabyssPosted in Articles, Daily Posts, The SabbatsTagged Celtic, Harvest festival, Kerala, Lammas, Lughnasadh, Mahabali, Onam, Shetland Islands. Dagon (Semitic): Worshipped by an early Semitic tribe called the Amorites, Dagon was a god of fertility and agriculture. He’s also mentioned as a father-deity type in early Sumerian texts and sometimes appears as a fish god. Dagon is credited with giving the Amorites the knowledge to build the plough. Posted on August 1, 2013 by ladyoftheabyssPosted in Articles, Daily Posts, Deities, The SabbatsTagged Amorite, Attis, Ceres, Demeter, Egypt, God, Roman, Roman mythology. In medieval times the feast was sometimes known in England and Scotland as the “Gule of August”, but the meaning of “gule” is unclear. Ronald Hutton suggests following the 18th-century Welsh clergyman antiquary John Pettingall that it is merely an Anglicisation of Gŵyl Awst, the Welsh name of the “feast of August”. OED and most etymological dictionaries give it a more circuitous origin similar to gullet; from O.Fr. goulet, dim. of goule, “throat, neck,” from L. gula “throat,”. A Welsh derivation would point to a pre-Christian origin for Lammas and a link to the Gaelic festival of Lughnasadh. Several antiquaries beginning with John Brady offered a back-construction to its being originally known as Lamb-mass, under the undocumented supposition that tenants of the Cathedral of York, dedicated to St. Peter ad Vincula, of which this is the feast, would have been required to bring a live lamb to the church,or, with John Skinner, “because Lambs then grew out of season.” This is a folk etymology, of which OED notes that it was “subsequently felt as if from LAMB + MASS“. For many villeins, the wheat must have run low in the days before Lammas, and the new harvest began a season of plenty, of hard work and company in the fields, reaping in teams. Thus there was a spirit of celebratory play. In the medieval agricultural year, Lammas also marked the end of the hay harvest that had begun after Midsummer. At the end of hay-making a sheep would be loosed in the meadow among the mowers, for him to keep who could catch it. In Shakespeare‘s Romeo and Juliet (1.3.19) it is observed of Juliet, “Come Lammas Eve at night shall she [Juliet] be fourteen.” Since Juliet was born Lammas eve, she came before the harvest festival, which is significant since her life ended before she could reap what she had sown and enjoy the bounty of the harvest, in this case full consummation and enjoyment of her love with Romeo. William Hone speaks in The Every-Day Book (1838) of a later festive Lammas day sport common among Scottish farmers near Edinburgh. He says that they “build towers…leaving a hole for a flag-pole in the centre so that they may raise their colours.” When the flags over the many peat-constructed towers were raised, farmers would go to others’ towers and attempt to “level them to the ground.” A successful attempt would bring great praise. However, people were allowed to defend their towers, and so everyone was provided with a “tooting-horn” to alert nearby country folk of the impending attack and the battle would turn into a “brawl.” According to Hone, more than four people had died at this festival and many more were injured. At the day’s end, races were held, with prizes given to the townspeople. Posted on August 1, 2013 by ladyoftheabyssPosted in Articles, Daily Posts, The SabbatsTagged Aviation, cars, Climate, England, gaming, John Pettingall, Lamb, Lammas, Lughnasadh, Ronald Hutton, Scotland, transportation, videogames, William Hone. To All of Our Dear Family, We Wish You A Very Blessed & Prosperous Lammas! Merry Meet on this glorious and beautiful Lammas Day! I hope everyone is busy celebrating the first Harvest. And I might add I hope it is a very prosperous one indeed! I would like to take a moment to thank each and everyone of you for making this one of the best years the WOTC has had. I have always said a group/site/blog is nothing without fantastic friends, family and supporters. We have the Goddess to thank for each of you. With Our Almighty Mother all things are possible. Every time I think it is the darkest it can get, She pulls me up by the boot straps. And shows me it is no way by any means over yet. She has given me a blessed life that is for sure. In the days of Old, our Ancestors would be giving thanks for a bountiful first harvest. They didn’t have the luxuries we do now. I can imagine what they would have given for one John Deere tractor. I know our Ancestors had it rough and the times were tough to say the least. But they had something we no longer have these days, that is charity for our fellow man. If farmer Brown saw farmer Smith didn’t have as good of a harvest as he did. He would take the buggy over to farmer Smith’s house and tell him not to worry. He would help him and his family make it through the Winter months. Farmer Brown wanted nothing in return, just to help out his neighbor, that’s it plain and simple. But farmer Smith didn’t want charity from Brown so he would find a way to repay the debt and show his gratitude at the same time. Boy, how people have changed. I guess if our Ancestors could see the shape we are in now, they would hang their heads. Probably shed a tear or two also. When I stop to think about living in the greatest nation on this planet, I want to cry. Every night in this country, there are thousands of people going to bed hungry. There are even more sleeping on the street. There are individuals a dollar away from being out on the streets themselves. I was listening to today’s news and they said a local food bank had had a triple increase demand since last year. They couldn’t figure it out. How damn stupid are these people? Do they not realize we are in a depression? I know what really get my feathers’ ruffled is that millions of dollars are being sent overseas. While we have our own babies going to bed hungry each night. People sleeping in the street in the greatest nation in the world. It is past time that we of the magickal community did something about this. As you know, you don’t have to have money to act. You have the power within you to act. It is past time that petition our Great Mother for help for our nation. For our children going to bed hungry, for the homeless man or woman sleeping in the street, or the empty food banks in this country. We need our Mother’s help! We also need our Mother’s help in cleaning out the ears of the Politicians in this country. The economy is getting better, the unemployment rate is dropping??? Don’t they realize that the unemployment rate is dropping because people can no long draw benefits. Truth be told, it is scary as hell, I raised two kids and my husband worked construction. The money was great. But construction only happens during the Summer months. The money you did manage to save up, you had to live on this next year. As high as things are now and the way the world is, I would hate to think I had to do it now. I know today is suppose to be a day of celebration for us. But I wanted to drive a point home. Share what the Goddess has given you with those less fortunate. It doesn’t cost a thing to be kind to another individual. We are all the Goddess’ children. Share your many blessings with a local food bank, if you can’t do that then start petitioning our Mother. Because that is what I plan on doing. I am not going to stop till this world of ours starts to change. I am going to ask Her to help feed the small children that go to bed hungry at night. Get that man or woman off the streets and give them a place to sleep that has a roof over it. And most of all makes those damn Politicians wake up and smell the coffee. The Politicians have had their turn at this country. You see what shape it is in. Now it is our turn and I am sure we can do a much better job than they ever did. I beg you to join me in praying to our Almighty Mother for these things. This is the Year of the Witch. Let us change the course of our country for the good of mankind. Goddess Bless You. May you have a bountiful and blessed Lammas! Posted on August 1, 2013 by ladyoftheabyssPosted in Articles, Daily PostsTagged Climate, current-events, Food bank, Goddess, Harvest, Hunger Relief, Lammas, Nature, Philanthropy, United States, Wicca. Lammas Greetings To One & All!